Black Mountain NC Discovery Guide – Things to see and do. 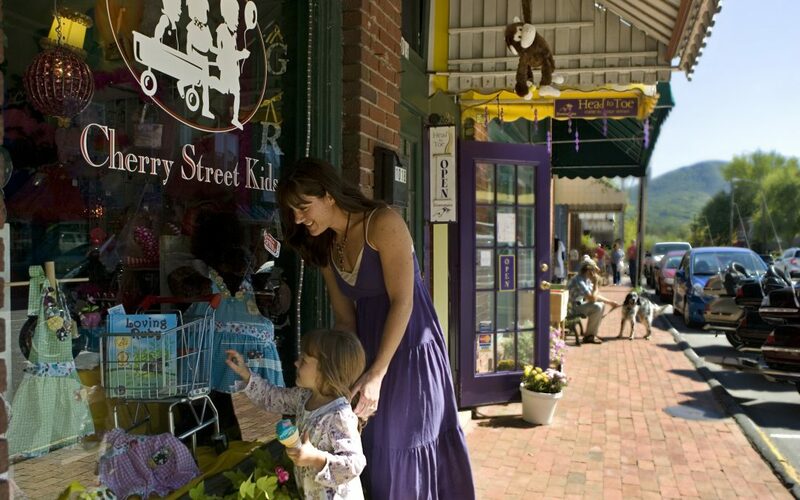 Located fifteen minutes east of Asheville you’ll discover Black Mountain, a great little Blue Ridge Mountain town. Strolling through the quaint downtown streets you’ll discover independent shops, eclectic eateries, and beautiful views of the surrounding mountains. Whether you’re looking to stay in a charming B&B to explore downtown, or get closer to the great outdoors with a Blue Ridge Cabin Rental, here’s what you need to know when planning a trip to, what readers of Trip Advisor called, one of the prettiest small town vacations in the country. Within a short drive of downtown Black Mountain you’ll find yourself surrounded by the great outdoors. Here you’ll be able to access the numerous hiking and biking trails throughout this region, including the Graybeard Trail, which offers a moderately strenuous hike to the sixth highest peak in the Blue Ridge Mountains. There’s also the popular, but challenging, Lookout Trail, which offers sweeping views of the area, including the Seven Sisters mountain range. Looking to beat the summer heat? Nothing works better than dipping your toes in the pools of a cascading waterfall. Take a short drive from Black Mountain to the base of Old Fort Mountain. Here you’ll find the Catawba Falls trail, which has an accessible trail to the base of the falls. After a day of outdoor exploration you’ll find no shortages of dining and entertainment options throughout the town. We recommend Louise’s Kitchen, which offers delicious southern comfort meals using locally sourced ingredients, and the ambiance of a historic Victorian-era home. If you’re looking for local brew, then head over to Pisgah Brewing, which has been producing some of the most sought-after beers in the Asheville area. There’s also Lookout Brewing Company, a small-batch brewery that offers pints or flights of their popular suds, and The Black Mountain Ciderworks + Meadery, which as the name suggests, provides cider and mead using fresh local ingredients. Want to hear some live music? White Horse Black Mountain, the Town Pump Tavern, and the Trail Head Restaurant and Bar all offer some toe-tapping tunes along with great food and local beers. 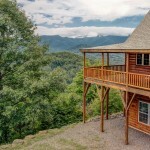 If your idea of a perfect mountain vacation includes a Blue Ridge cabin rental, then check out the selection at Greybeard Vacation Rentals, which offers everything from cute bungalows to cabins perched high atop the surrounding mountains. If you prefer the comforts of home, like having breakfast prepared for you each morning, then Black Mountain is home to a number of quaint B&Bs. The Arbor House of Black Mountain Bed and Breakfast and Red Rocker Inn are both excellent choices. There are also a number of hotels and campgrounds in the area.